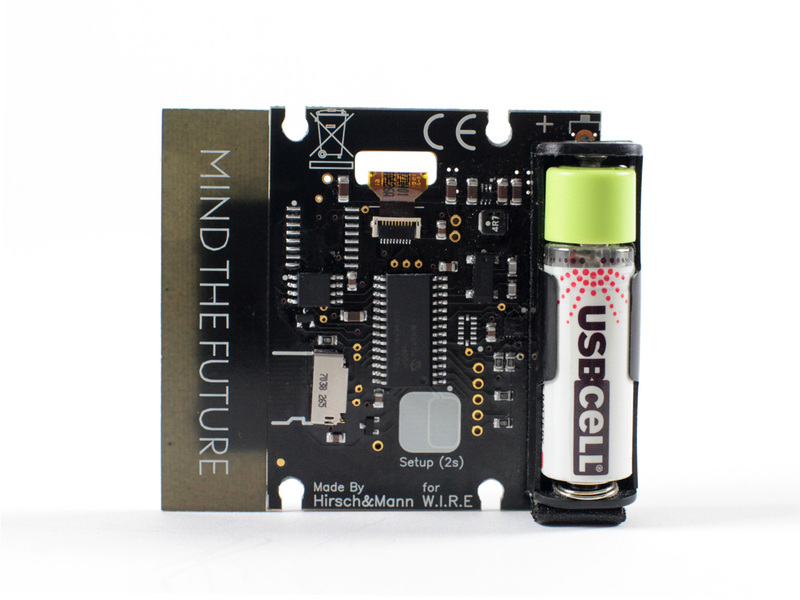 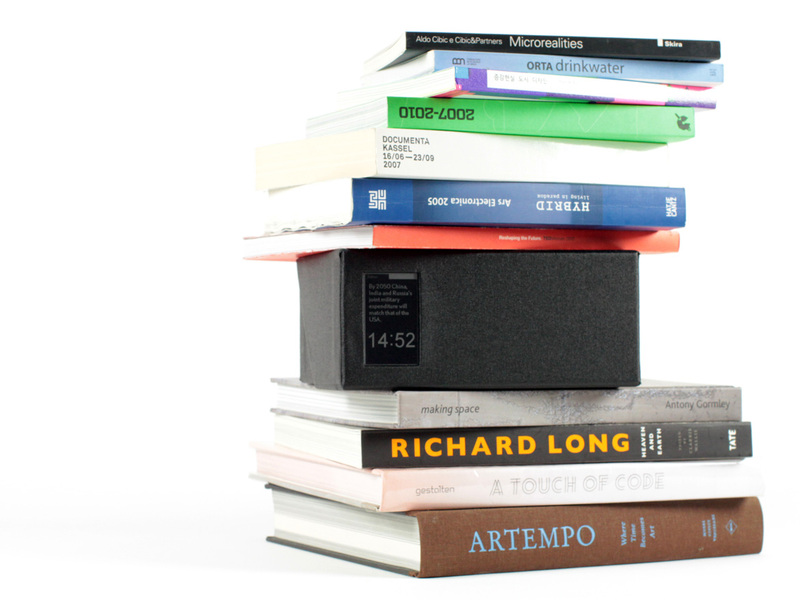 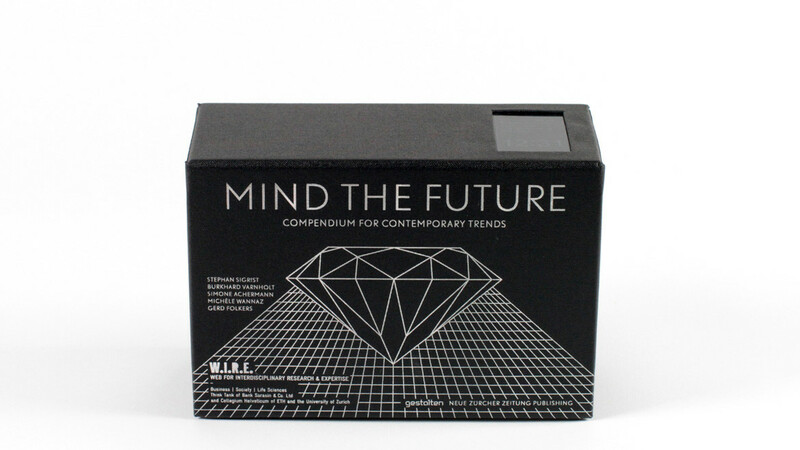 Miriam was invited by Hirsch & Mann to collaborate in the detail design integration of a smart LCD into the Mind The Future box, a file-card compendium of contemporary trends – from economy to demography, society, technology, politics and ecology – published by Swiss think tank W.I.R.E. 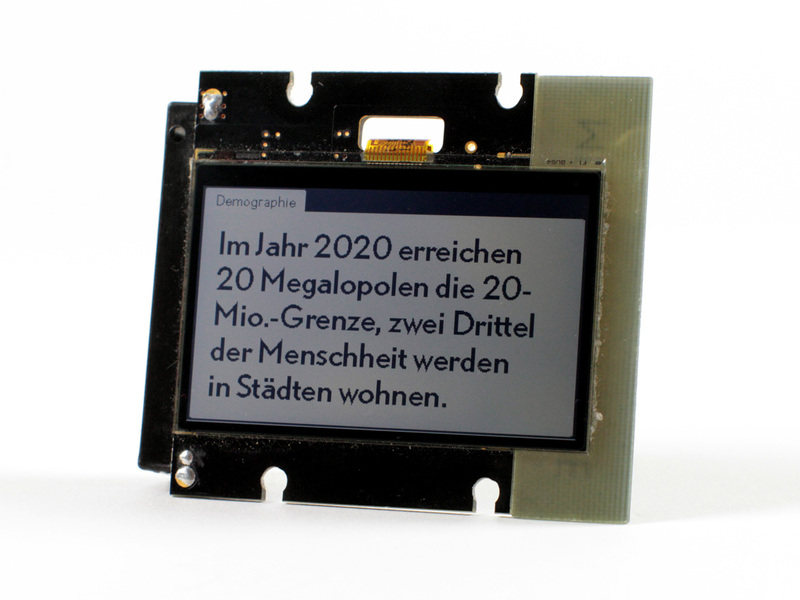 The smart LCD contains digitised compendium content, updatable by Micro SD card, and powered by a USB rechargeable AA battery. 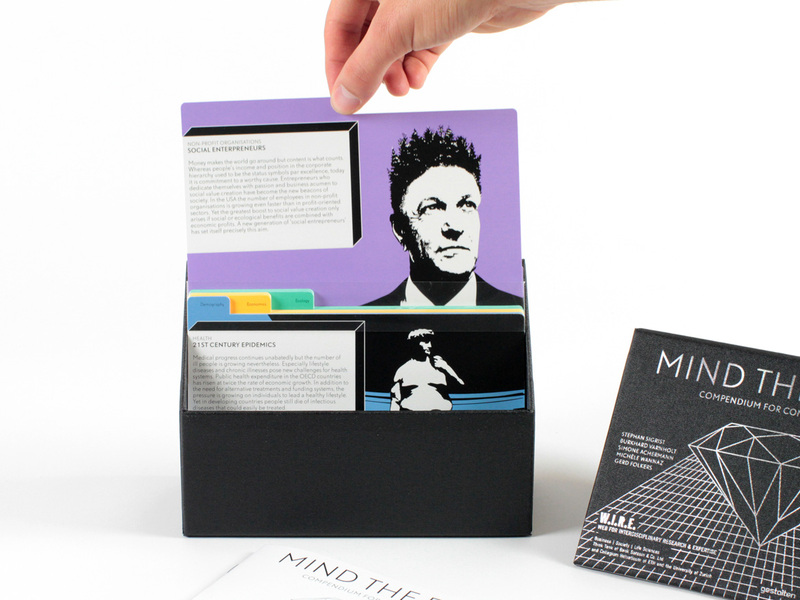 The orientation of the box determines the format of content shown – time, time and text, or text and images.